It isn't easy being queen. Hospitality is becoming a rare commodity in our society. I understand. We are so busy trying to feed our own family, we rarely have time to extend an invitation to others. This has been largely true for our family in the past three years. But that is about to change. My husband and I both have the gift of hospitality. It’s our love language. We love cooking for people and watching them enjoy the meal. Someday, if we completely loose our minds, we may open a restaurant. We’ll see. In the meantime, we will be hosting a large portion of the Bradley family for Thanksgiving this year. So far, I estimate about 26 people. I have begun the task of counting chairs, dishes and glassware, and I am falling short. You know what that means…shopping opportunity! 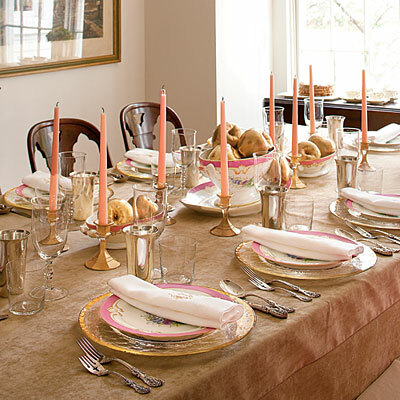 I came across this “Sparking Thanksgiving Table Setting” on the Southern Living website. It was just screaming my name. If you haven’t noticed, I LOVE pink! 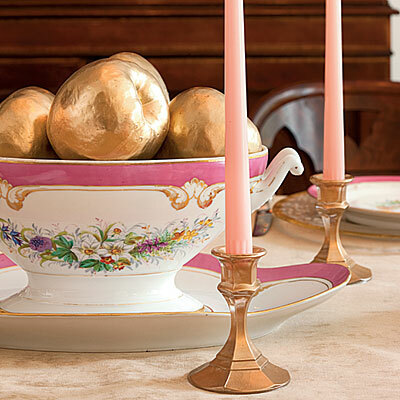 I especially love classy touches of pink. My kitchen has pink glass knobs, for example. This is the adult table. Isn’t it dreamy? 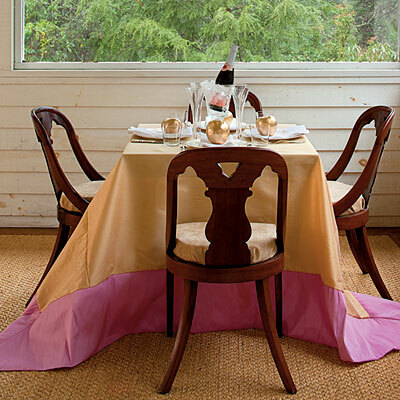 I already have a gold table cloth and we use silver-plate flatware every day. I just need to count it all and buy a few more pieces at my favorite antique store in town. I found some gold chargers for $1.98 each. Not quite as cute as these, but they will do nicely. My stemware from our wedding also has a gold rim. Perfect. My biggest problem is that I just don’t have enough of anything. There will be a lot of mix-and-matching going on at my table. That’s the price I pay for having my kids wash dishes. I love this china. It’s so delicate. These candle sticks were from a thrift store and painted gold along with some apples. I have no idea what I will do for a centerpiece yet. This is the teen table. I think I will have seven kids ages 10-17. I will have them sit at their own table with sparking cider and less expensive dishes. Don’t you just love this table cloth? I do, but I’m not sure that my nephews will. I think I’ll stick to the cream one that I have. Well, there it is. My inspiration. I’m excited to see what I can come up with on my little budget. I’ll be hitting antique stores and wholesale marts to see what I can find. Wish me luck!